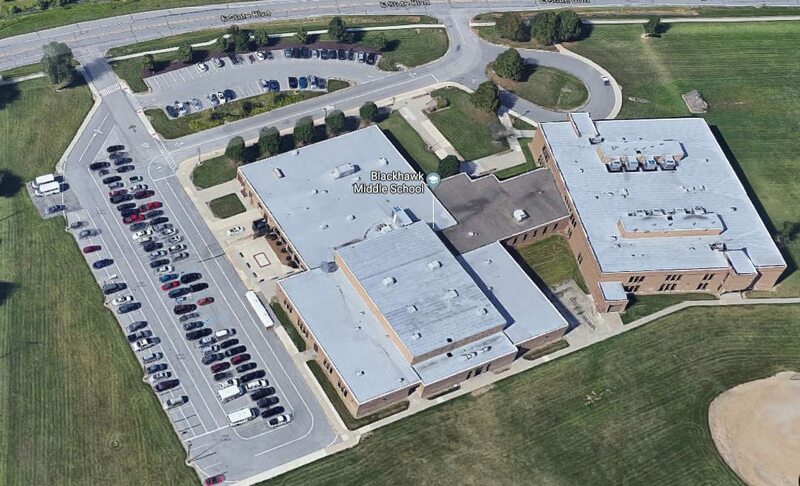 A Fort Wayne family said their eighth-grade son was bullied by his Spanish teacher at Blackhawk Middle School for using Fox News as a source on a current events report. They took their story to the media in hopes other students won’t face similar situations and that Fort Wayne Community Schools will review its policies on teacher investigations. “We definitely think any teacher investigation brought on by parents should be as transparent as possible,” parent Todd Hein said. “Fort Wayne Community Schools does not condone the kind of behavior detailed by this parent,” said a statement from Krista Stockman, FWCS public information officer. Wednesday morning, Hein and his son, Jacob, 14, also were interviewed via Skype on the national broadcast of “Fox & Friends” on Fox News. Hein told News-Sentinel.com the incident happened March 20 in his son’s honors Spanish class. Students have a recurring assignment to read a current news article and translate it into Spanish. Students weren’t told they had to use or avoid using any certain news sources, Hein said. Citing the source of the article also wasn’t required, but Hein said his son usually included the source with his assignments. Jacob translated a story about U.S. Air Force pilots reportedly seeing possible UFOs, which he read on Fox News, his father said. The family relies on a variety of news sources, including Fox News, CNN and others. The day after turning in the assignment, Spanish teacher Sarah “Sally” Ford walked over to Jacob in class and reportedly told him Fox News is “fake news” and that he shouldn’t use it as a source anymore, Hein said his son told him that day. Then Ford reportedly told Jacob that instead of doing an assignment on family trees, which the other students were doing, she wanted him to look up any of President Donald Trump’s “many lies” and to give her a full-page report on it. Hein said he called the school the next day to report the incident. Ford reportedly also apologized to his son the next day in class. News-Sentinel.com tried to contact Ford by email Wednesday afternoon but had not received a reply as of 9 p.m. Wednesday. Hein and his wife met two days later with the teacher, principal and assistant principal, during which the teacher admitted things happened as Jacob had said and she apologized to the Heins, Hein said. The Heins also recorded the meeting. At some point, the teacher was asked to leave the meeting because she was no longer being helpful, Hein said. She stood outside the room and stared in through a window in the door. When he described her behavior as bullying, Hein said Ford barged back in and tried to defend herself before being ordered out by the principal. The principal told the Heins the case would be referred to FWCS’ Human Resources department. Hein said he and his wife ended up asking to have their son taken out of Ford’s class when she gave the class an assignment three days later to write about why, six months after Hurricane Maria, parts of Puerto Rico still don’t have electricity and why Trump should have done more to help. Jacob now goes to a creative writing class he already has taken previously, Hein said. The Heins’ main concerns now involve FWCS’ lack of response to them regarding the status and outcome of the investigation. During the past few weeks, Hein said FWCS officials have failed to respond to his calls asking about the investigation. He also emailed an FWCS official screen shots of anti-Trump comments he found on Ford’s Facebook and Twitter accounts but heard nothing other than an initial reply that his email had been received. Hein said an FWCS official did take his call Tuesday and informed him the investigation has been completed. Because the incident involves a personnel matter, however, the Heins won’t know the result unless it goes to the FWCS board of school trustees for action during a public meeting, the official said. The FWCS official did say Ford had not been fired, Hein said. He wants FWCS officials to reinforce the district policy and state law saying teachers should run an unbiased classroom and shouldn’t advocate for the election or defeat of any specific candidates. Hein also believes Ford violated several points FWCS lists as bullying on its website, https://www.fortwayneschools.org. The Heins also believe FWCS should be more transparent about its investigations, such as telling parents involved in the case what the teacher tells Human Resources staff investigating the incident. Regardless of a student’s or family’s political beliefs, no student or family should have to go through what they have experienced, Hein said. “Hopefully, this doesn’t happen again,” he added.